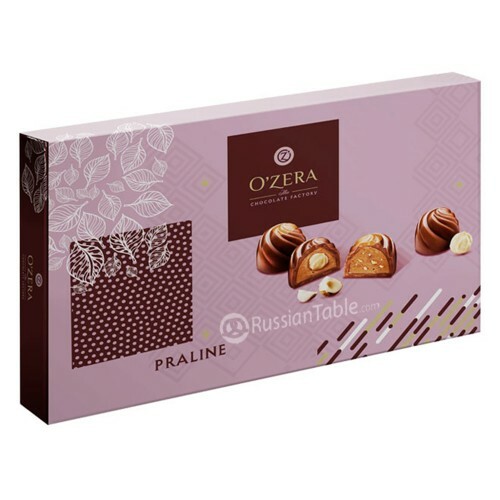 Sweets "Ozera" Praline 200g buy for 6.4900 in store RussianTable with delivery. “Praline” set made from chocolate candies with crushed and whole hazelnuts. - one made from milk chocolate, a bit of caramel chocolate and a tender praline with crushed hazelnuts- another from milk chocolate and tender praline with whole hazelnuts. Do you have any questions about Sweets "Ozera" Praline 200g?